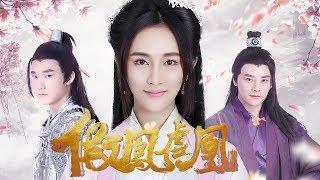 ----[電視劇]蘭陵王妃 獨家正版 [Chinese Drama] Princess of Lanling King / A Legend of Princess Lanling 古裝 History. 傳奇 Legend. 愛情 Romance. 2016 張含韻,彭冠英,陳奕,田麗,何潤東 等明星版. ----[熱播網劇] 假鳳虛凰 獨家正版 [Web Series] Male Princess and Female Prince 古裝 History. 喜劇 Comedy. 愛情 Romance. 2017 趙予熙, 劉濟愷, 董子鳴 等明星版. ----[熱播網劇]好好先森 獨家正版 [Web Series] Mr. Nice喜劇 Comedy 2017 關曉彤,曹雲金,高曉攀,張大禮,劉雲天,李箐,潘霜霜 等明星版. ----更多獨家正版精彩大劇即將上映,歡迎訂閱! More Exclusive Chinese Web/TV Series Will Be Released Soon. Welcome Subscribe!